IHRC are urging campaigners and activists to protest against G4S for their provision of expertise and security systems to Israeli prisons, and their complicity in the detention and torture of Palestinian children. This protest is part of an ongoing campaign by IHRC against Israeli apartheid and this protest is just but one that will be targeting those that profit from the Occupation of Palestine. 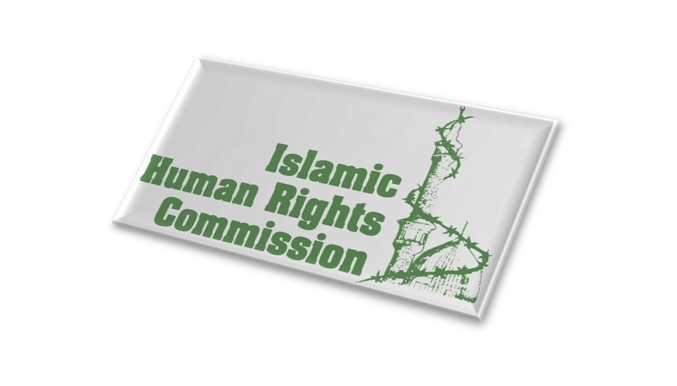 On our last protest on 12 October 2012, IHRC managed to hand in their letter to the G4S reception in person (https://www.ihrc.org.uk/news/articles/10305-video-ihrc-hands-in-letter-to-g4s), this time we will be staging a stunt and need as many participants as possible. 1. Write letters and emails to the Foreign Minister of their country urging them to do whatever they can to persuade G4S to discontinue all business with Israel with immediate effect. • Ofer prison in the occupied territory, where G4S provides the perimeter defense system and the central command control room for the entire facility. • The Al Jalame interrogation centre in northern Israel. Cell 36 where Defence for Children International reported that children are locked in small filthy cells in solitary confinement, some for 65 days, with their only escape being the interrogation room where they are shackled by their hands and feet to a chair whilst being abused, sometimes for hours. G4S provides the security system that keeps this torture den operational. I urge you to do whatever you can to persuade G4S to discontinue all business with Israel with immediate effect. This ongoing oppression of individuals which is a clear violation of human rights law must not be tolerated by the British government who claims to stand for justice. I urge you to raise this matter with your Executive Committee as a matter or urgency and subsequently discontinue all business with Israel with immediate effect.